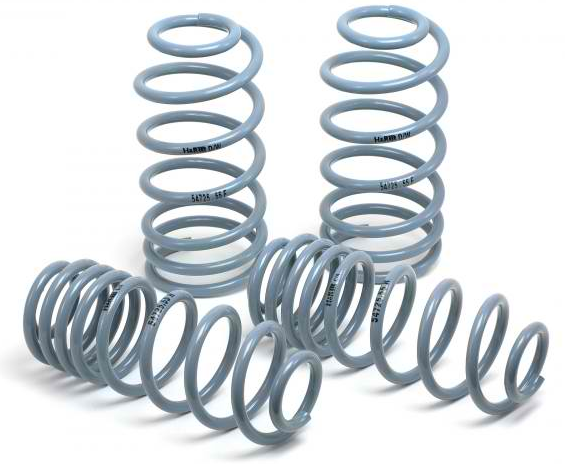 Lowering springs help you conquer the road. They stabilize your car by lowering its center of gravity, thereby eliminating body rolls. Many brands commonly lower the center of gravity from 1 to 2 inches, which significantly enhances highway performance. Remarkably, these brands do so while conforming to the highest standards of safety and ride quality. When you’re off the steering wheel, you’ll find that lowering springs also provide the visually commanding benefit of transforming your car into a sportier, sleeker version of the stock model. At Car Part Paradise, you get to choose from a wide range of affordable lowering springs designed by top-notch manufacturers such as H&R and TEIN. TEIN has been around for close to three decades of providing affordable, durable, and high-performing lowering springs and coilovers. Integrating Japanese efficiency in all its meticulously engineered products, TEIN has grown into a global brand, with facilities here in the US as well as in China and the United Kingdom. When you acquire and install a set of TEIN lowering springs, you are securing your chassis on top of one of the most dependable suspension systems in the world. Unlike other brands, TEIN’s core design and manufacturing focus are solely on suspension components. 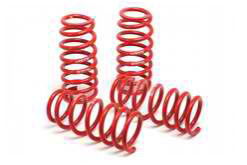 In addition to offering brand-specific lowering springs, they even have variants that are purposely designed based on other factors such as road conditions and different consumer requirements. You may want to check out some TEIN models such as the G-Tech, S-Tech, and H-Tech lowering springs at our online catalog. By the way, in case you’re wondering whether TEIN is a Japanese word, it’s not. It’s actually an English contraction of the two key guiding values that have steered the company over the years: TEchnology and INnovation. Meantime, H&R represents the surnames of two German innovators that established the formidable brand back in the late 1970’s: Werner Heine and Heinz Remmen. Both are consummate drivers and suspension experts, and were responsible for the emergence of the high performance spring market in Europe. All H&R suspension systems are designed to effect the “perfect vehicle stance”, improve handling, maintain ride quality, and conform to specific personal styles of consumers. If you want to install lowering springs with a veritable street heritage and the unbeatable German engineering behind it, then H&R is the brand to go for. 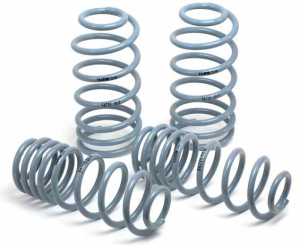 While all H&R springs are manufactured in Germany, you can get them at Car Part Paradise, sometimes at unbelievably discounted prices. In addition to H&R and TEIN, Car Part Paradise also offers other known brands like Eibach and Vogtland Audio to satisfy the customization requirements of car enthusiasts. This entry was posted by Sami on October 5, 2011 at 7:21 pm, and is filed under Performance Parts. Follow any responses to this post through RSS 2.0.You can leave a response or trackback from your own site.